WooCommerce: How to Increase Average Order Value? AOV a.k.a. Average Order Value is one of the most important ecommerce metrics. It describes the average order total in a given period of time. 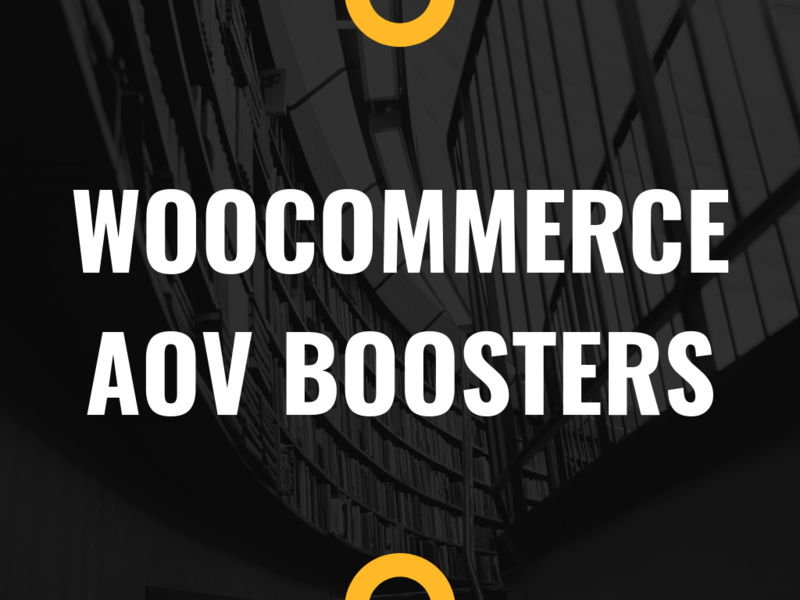 If this year your WooCommerce website converted 150 orders and made $30,000 in revenue, your AOV for this year is $30,000/150 = $200 (i.e. on average, you can expect each order to be $200). If you don’t know what your WooCommerce store AOV is, immediately go to WordPress Dashboard > WooCommerce > Reports > Orders > Sales by Date > Year and divide “net sales in this period” by the number of “orders placed”. But be careful – those reports are sometimes not correct (I know WooCommerce is working on this at the moment). Mine is giving me AOV = €2… and I know that’s not right. Your best bet is your Google Analytics account (as long as you’re using the official WooCommerce – Google Analytics integration) and/or your Metorik reports (here’s an article you should read if you need to know how to install reliable WooCommerce tracking, reporting, filtering and segmenting: https://businessbloomer.com/advanced-woocommerce-tracking-analytics-reports-exports-segmentation/). My Metorik dashboard tells me my WooCommerce website AOV for this year is €233 so far – I can trust this one for sure. So the question is: how can we get our WooCommerce customers to spend more? Well, here’s a list of WooCommerce plugin alternatives you can install right now to boost your AOV. In fairness, who wouldn’t want some extra revenue? 🙂 Continue reading WooCommerce: How to Increase Average Order Value?